The Wall Street Journal reported this week on the trip that U.S. Customs and Border Protection (CBP) Commissioner Kevin McAleenan made last month to the so-called "Northern Triangle" countries of Honduras, Guatemala, and El Salvador. The commissioner went to those countries in an attempt to assess the "push" factors that attract nationals of those countries to enter the United States illegally. The "pull" factors are likely stronger, but it is often difficult to separate one from the other. In attempting to find a simple definition for the terms "push" factors and "pull" factors, I happened across a web site called "eschooltoday.com", which appears to be a Ghana-based website geared toward school students below the college level. It is surprisingly unbiased, although the header for the article in question is captioned "your cool facts and tips on migration". I rarely think of "cool facts" as it relates to this subject, but perhaps I should reconsider. Push factors are those that force the individual to move voluntarily, and in many cases, they are forced because the individual [may] risk something if they stay. Push factors may include conflict, drought, famine, or extreme religious activity. Pull factors are those factors in the destination country that attract the individual or group to leave their home. Those factors are known as place utility, which is the desirability of a place that attracts people. Better economic opportunities, more jobs, and the promise of a better life often pull people into new locations. Sometimes individuals have ideas and perceptions about places that are not necessarily correct, but are strong pull factors for that individual. As people grow older and retire, many look for places with warm weather, peaceful and comfortable locations to spend their retirement after a lifetime of hard work and savings. Such ideal places are pull factors too. Very often, people consider and prefer opportunities closer to their location than similar opportunities farther away. In the same vein, people often like to move to places with better cultural, political, climatic and general terrain in closer locations than locations farther away. It is rare to find people move over very long distances to settle in places that they have little knowledge of. "Our legal framework continues to act as a powerful magnet for families and children seeking a better life," McAleenan, who invited a small group of reporters on his trip, said in an interview. "As a result, transnational criminal organizations are profiting from a billion-dollar human smuggling industry that treats people like a disposable commodity." "We see it every day on the border and at our ports of entry," he added. "High-speed chases, people being smuggled in tractor-trailers, and bodies found in the desert and on our riverbeds are all terrible symptoms of the same complicated problem. 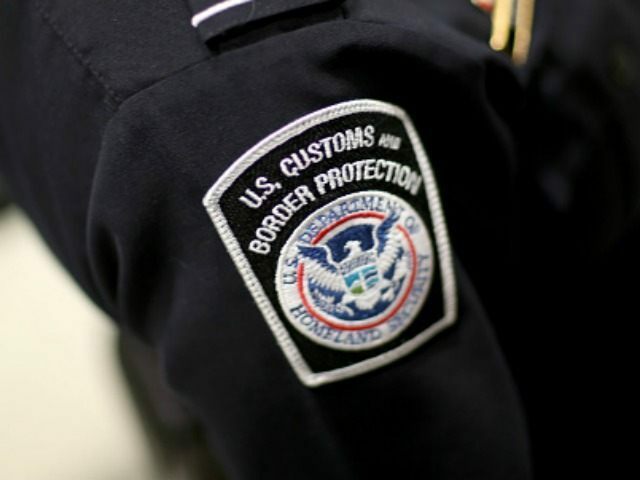 CBP cannot fix this problem by ourselves." Guatemalan community leaders told McAleenan that smuggling guides who charge $10,000 for a trip to the United States capitalize on the dysfunction of the American immigration system. "They say that if you bring a child they'll let you into the United States and give you citizenship," said Dora Alonzo Quijivix, describing the sales pitch during a meeting McAleenan attended with indigenous leaders in Quetzaltenango, the largest city in the western highlands. "Now they're saying pregnant women who go will also get citizenship." Quijivix said she's heard smugglers say this on local radio stations. McAleenan told the group that such claims were false and that the United States needed to do a better job of countering them. "There's no ability to stay in the U.S. if you bring a child with you," he said. "There's no ability to just stay if you are pregnant. But our court system is very slow, so you might actually have a false promise of being able to stay in the U.S. for a year or two before you are repatriated." Unrelenting violence in the region was widely accepted as having sparked the first wave of roughly 70,000 immigrant families, and nearly as many unaccompanied children, in 2014. But as the flows have fluctuated in recent years, the causes have become more elusive. Although official data show no increase in violence in Guatemala in recent years, it is still a reason some newly arrived immigrants cite for leaving. A lack of jobs appears to be a significant driver in the migrant flow from Guatemala to the United States. Astoundingly, according to the Wall Street Journal, government estimates show that "150,000 to 170,000 people enter the workforce annually," but the economy only creates about 35,000 to 40,000 jobs per year. Plainly, such a failing in the Guatemalan economic system encourages departures. It is not the only factor, however. Malnutrition, a lack of access to education, and a lack of protection for indigenous peoples from the predations of the gangs and drug traffickers that use Guatemala as a transit point were all listed by local officials as reasons for the departure of members of those communities to the United States. Lorena Lopez Mejia, an employee of the nongovernmental agency "Organismo Naleb" in Guatemala's indigenous communities, offered a particularly enlightening perspective: "If we can't have access to land, we can't talk about food access, let alone (food) security." While the indigenous population constituted 44 percent of the population, according to the latest 2002 government census, indigenous representation in national government was minimal. There was one indigenous female member of the cabinet, one on the Constitutional Court, and one on the Supreme Court. There were approximately 20 indigenous members of Congress. Indigenous individuals comprised a larger share of elected local government officials, filling 113 of the 333 mayoral seats elected in 2015. The law provides for equal rights for indigenous persons and obliges the government to recognize, respect, and promote the lifestyles, customs, traditions, social organizations, and manner of dress of indigenous persons. The government does not recognize particular indigenous groups as having a special legal status provided by national law. During the year courts suspended the operating licenses of several hydroelectric and mining projects for not complying with requirements for consultations with indigenous communities prior to project implementation as required by International Labor Organization (ILO) Convention 169, recognizing the convention's requirement that the government must play a role in the process. Previously, businesses carried out consultations independently without government oversight. At least part of the issue with respect to the rights of indigenous peoples in Guatemala is systemic. DOS explains: "Indigenous lands lacked effective demarcation, making the legal recognition of titles to the land problematic." I am aware of the fact that discourses on the rights of indigenous peoples in foreign lands is the sort of topic that often makes the eyes of readers of posts like this glaze over. These are often key facts, however, in immigration court, particularly as it relates to the asylum claims that are currently clogging the court system and contributing to the massive backlog. The good news is that the U.S. government does have the ability to influence factors in Guatemala. According to USAID, Guatemala received almost $297 million in U.S. foreign aid in 2016, the third-highest rate in the region. And, according to the CIA, the United States is far and away Guatemala's largest trading partner, accounting for 33.8 percent of the country's exports. This gives the United States government significant leverage to demand the changes necessary to address the push factors that have created the flow of migrants leaving that country to enter the United States illegally. As he finished his trip, Mr. McAleenan said he hadn't received the "clarion bell" he had anticipated. Food insecurity turned out to be one element in a complex set of reasons why so many Guatemalans have been coming to the U.S. illegally, he said. He was also frustrated that so many would-be migrants know the risks of the trip to the U.S. but chose to come anyway. "This is not an acceptable situation," Mr. McAleenan said. No, it is not. But at least the administration is attempting to address the flow of illegal migrants from the Northern Triangle countries holistically. It is a start. Now is the time for the U.S. government to use its significant leverage to bring about the changes in those countries necessary to stem the flow.